I love connecting personally with readers and viewers and I’ve decided I want to be more a part of their trips/your trips! 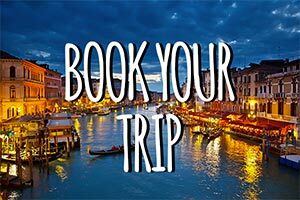 With my schedule, I certainly can’t do this on a large scale but for a limited time, I am offering Italy travel consultations and itinerary planning! (You can purchase now and use anytime in the next two years.) I used to offer these services a decade ago and I’m reviving them for a limited time! 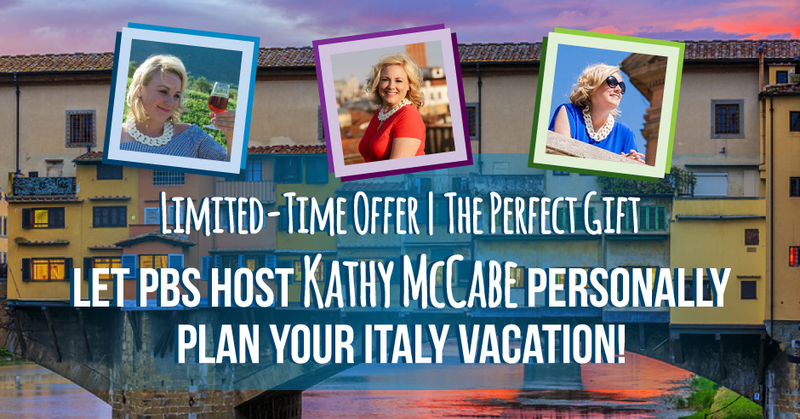 This is a unique opportunity to have a PBS host personally plan your trip or a loved one’s and at a special price. 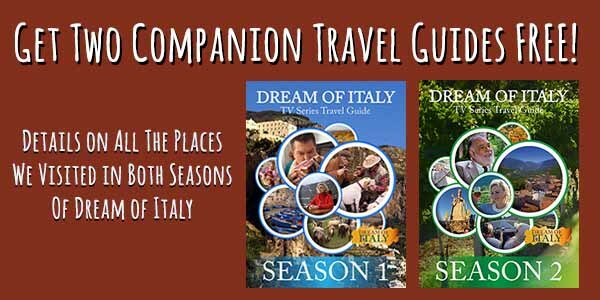 Can you think of a more unique gift for the Italy lover in your life or even someone planning a first trip? Or give my services to yourself as a gift! I have been traveling to Italy intensely for 24 years, mamma mia, and running Dream of Italy for 16 years, I’ve criss-crossed the country again and again curating the best and most authentic experiences and everything I know doesn’t even make it into the pages or episodes of Dream of Italy. 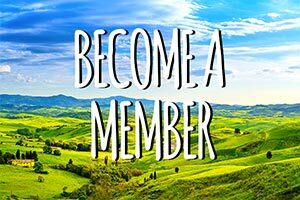 And if the above if out of your price point, you can basically access so much of what I know about Italy travel – from cooking schools to villa rentals, museums to tour guides – for just $27 with a gift membership to our membership website/award-winning travel publication Dream of Italy. It really is my life’s work – I’ve edited 160 issues (you can access all) and we are in the midst of a massive project on the website – updating ALL of the articles by the end of 2018.